Update February 2, 2018 @ 9:25 PM CST: Musk has confirmed that all 20K Flamethrowers have been pre-ordered, and that every order would come with a complementary "The Boring Company" fire extinguisher (free of charge). Each flamethrower will have a custom engraving from 1 to 20,000. Musk also filled customers in one an issue where shipping and customs agencies won't accept any products named "Flamethrower," so Musk plans to change its name to "Not a Flamethrower" or "Temperature Enhancement Device." Yes, you did in fact ready that title correctly. 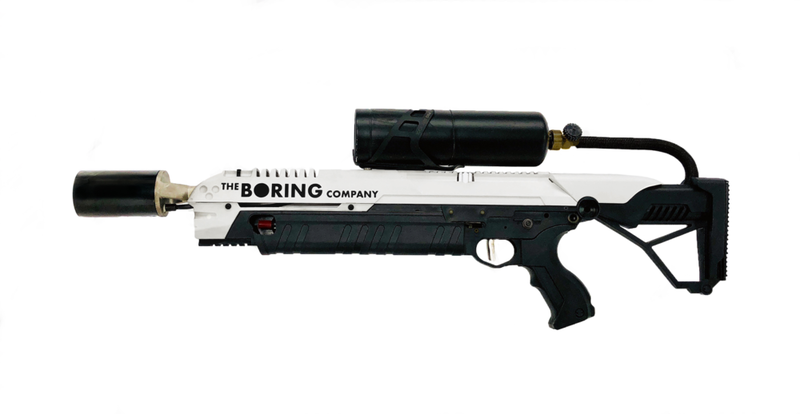 CEO, of Tesla, SpaceX and The Boring Company, Elon Musk has indeed launched preorders for a crazy limited-edition flamethrower, and it’s all 100% legal. Here’s what you need to know. Late last December, Elon Musk began selling a limited number of “The Boring Company” Hats for $20.00 USD. Musk tweeted that after the company had gone through 50K hats, which it did on Christmas Eve, they would begin selling flamethrowers. He did not give any further details at the time, and many thought he was joking. Last weekend Musk announced over Twitter that The Boring Company Flamethrower was now available for pre-order for $500. Musk tweeted that the company only has 20K to sell, and that they had already gone through 1K pre-orders. If you are concerned that this may seem illegal, Musk reassured Twitter users that the ATF says any flamethrower with a flame under 10FT is legal, and that they are also selling branded $30 fire extinguishers to… extinguish any other worries. Musk has already posted several videos of the flamethrowers and they look pretty amazing. One other thing readers should take from this is to never assume that Musk is joking when he says he is going to do something that sounds ridiculous. Musk was told that The Boring Company would never go anywhere, and it could very well be the creator of the next type of transportation. Are you planning on buying a flamethrower? What are your thoughts? Let myself and other readers know below!